George Dean was captain of the Possum, a night ferry running between Circular Quay and Milsons Point. He was well-liked, trusted and heroic as he had saved several passengers from drowning in the harbour. 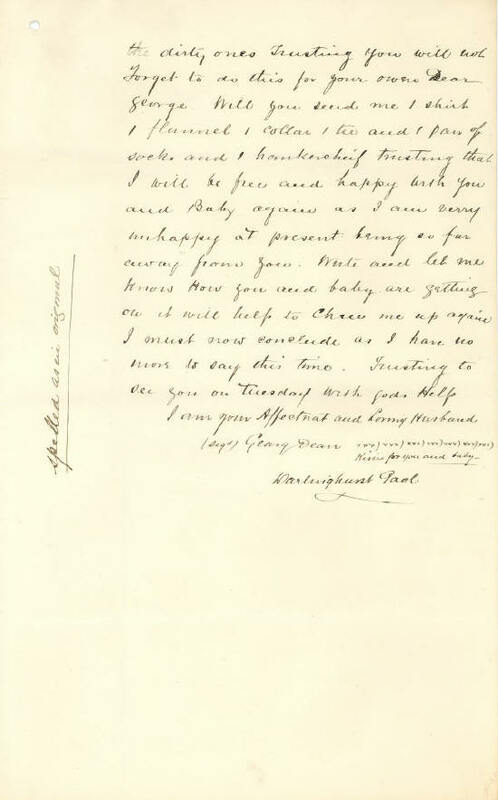 On 8 March 1894 he married Mary Seymour and soon they had a daughter, born on 26 December. 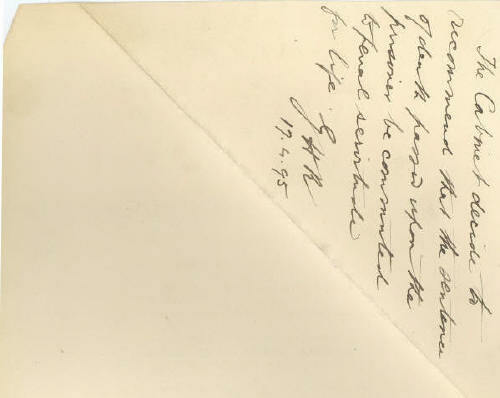 The marriage was under stress though, due to Mary's mother, Caroline Seymour, who lived with the couple. 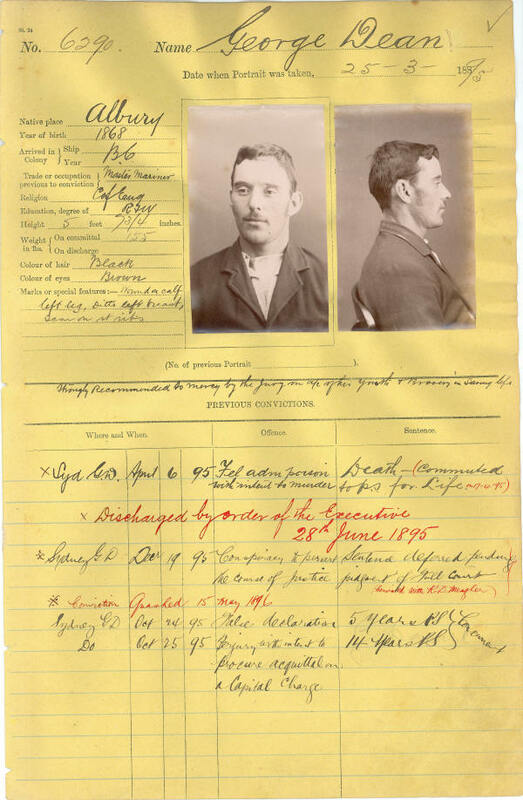 On 8 March 1895 Dean was arrested and charged with administering poison to his wife, with the intent to kill her. 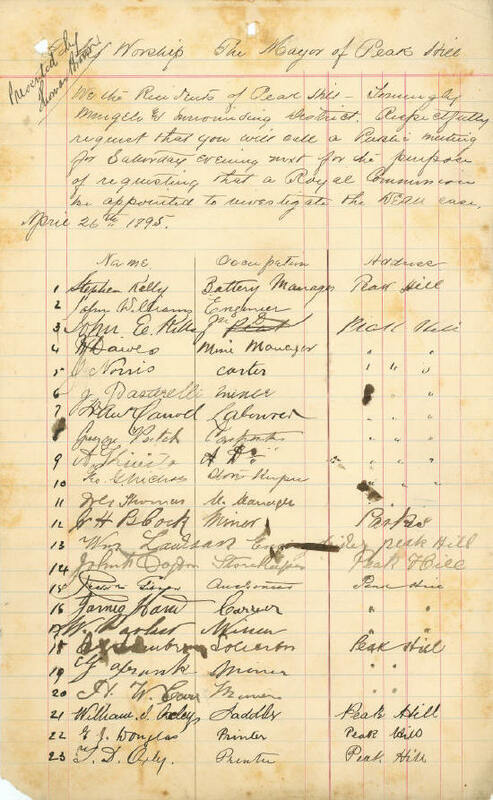 Dean was committed for trial and appeared before Justice Windeyer in the Supreme Court in April 1895. Richard Meagher, of Crick and Meagher, appeared for the defence. 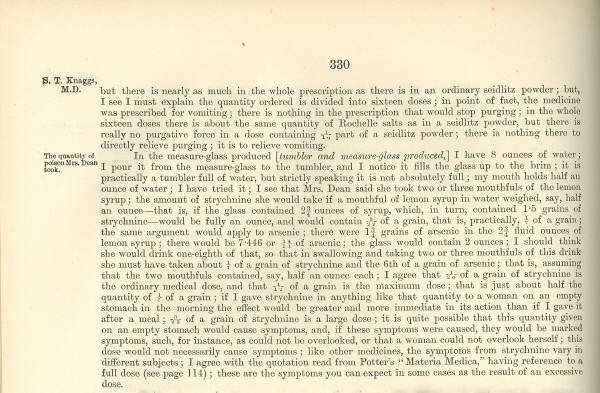 It was alleged that the poison, arsenic and strychnine, was concealed in lemon syrup, cups of tea and medicines. 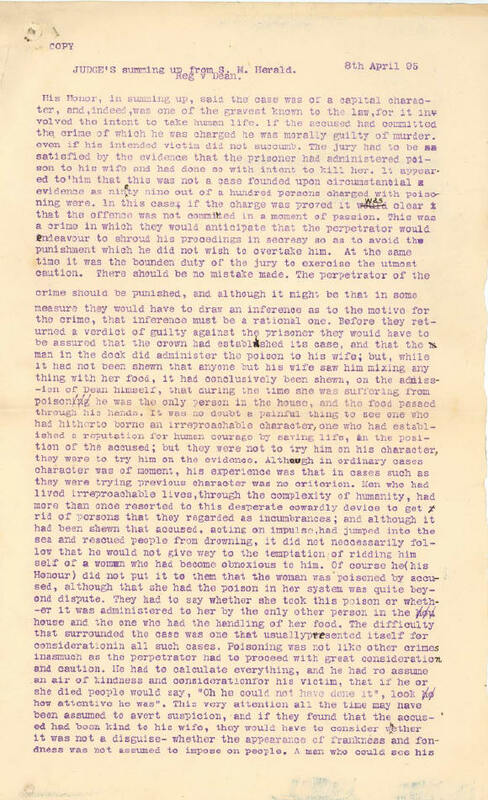 No evidence was presented that Dean had purchased the poison or owned the poison. Mary Dean gave evidence that the relationship had begun to deteriorate soon after their marriage. 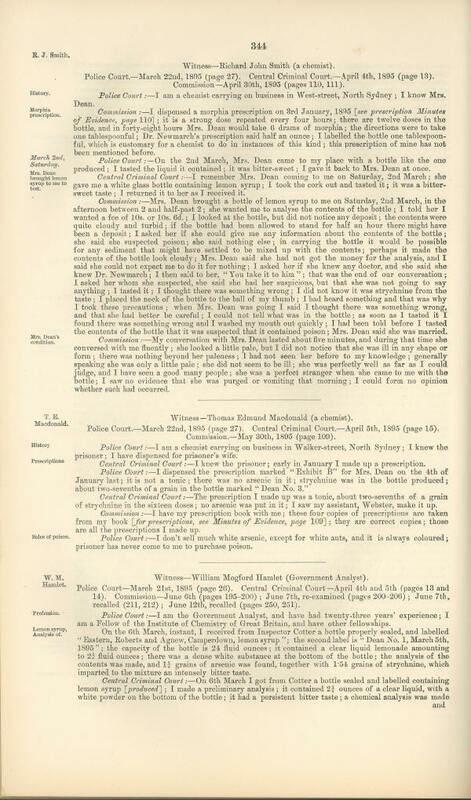 She told the court that she had experienced the symptoms of poisoning prior to the birth of the couple's child in December 1894. 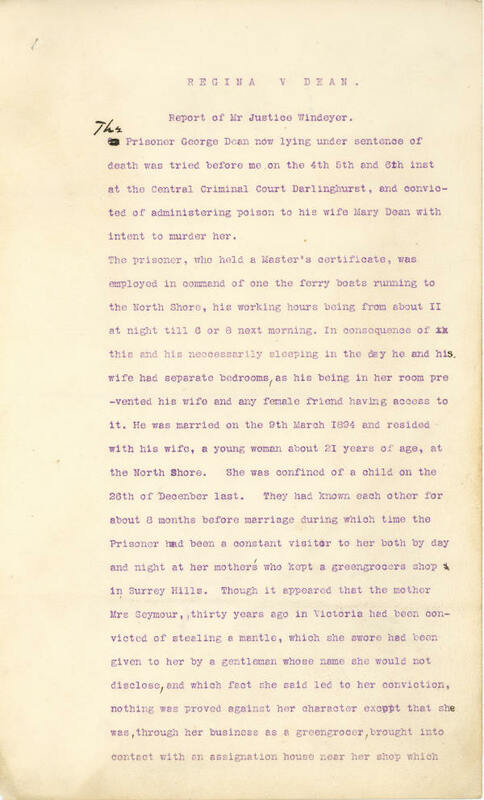 Mary said her husband had accused her of having a child before their marriage and compared her to the woman he should have married and 'would when he was free'. Dean denied these accusations but admitted his dislike for his mother-in-law had strained the marriage. The verdict caused a public outcry in Dean's favour. 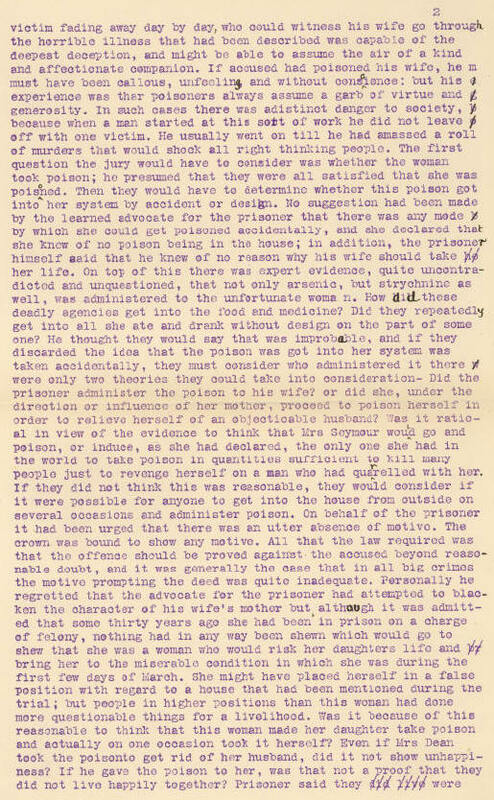 Judge Windeyer, known as the "hanging judge", bore the brunt of criticism from Dean's lawyers. Protest meetings were held all over the state, petitions of support poured in and a 'Dean Defence Committee' was formed to fight for his freedom. 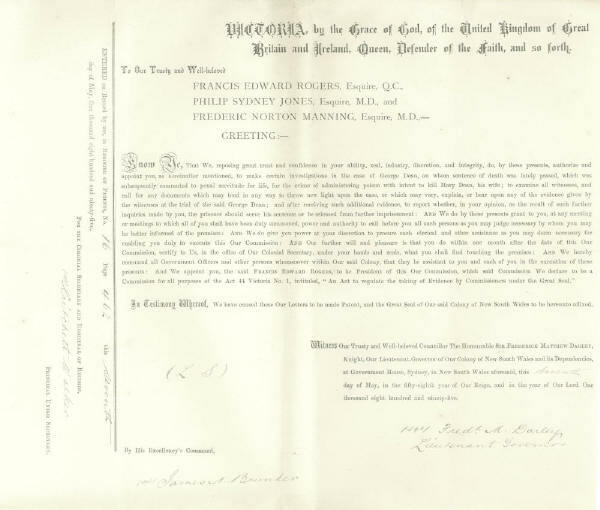 The Government established a Royal Commission on 7 May 1895 with Francis Rogers, QC, and two doctors, Phillip Jones and Frederick Manning, being appointed to enquire into whether Dean should serve out his sentence or be released from gaol. 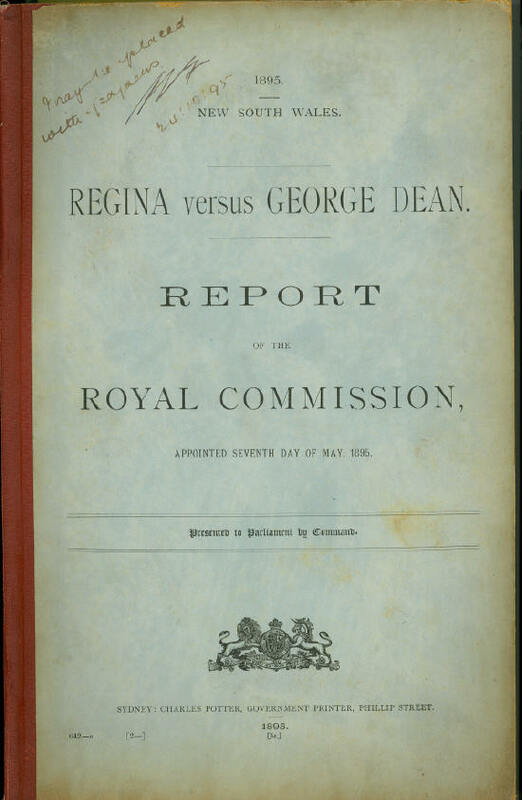 The Commission focused strongly on the characters of Mrs Seymour and Mrs Dean, with suggestions that Mrs Seymour had a tarnished reputation. 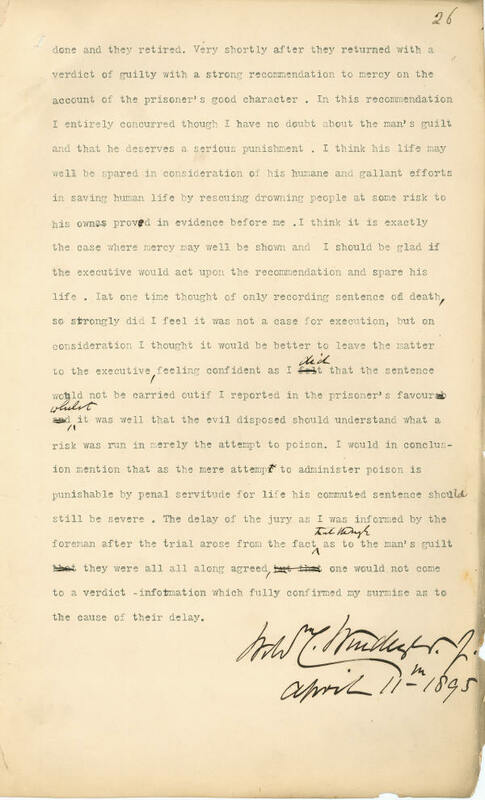 Commissioners Jones and Manning agreed that Mrs Dean had self-administered the poison, with no intention of taking a fatal dose while Commissioner Rogers dissented. 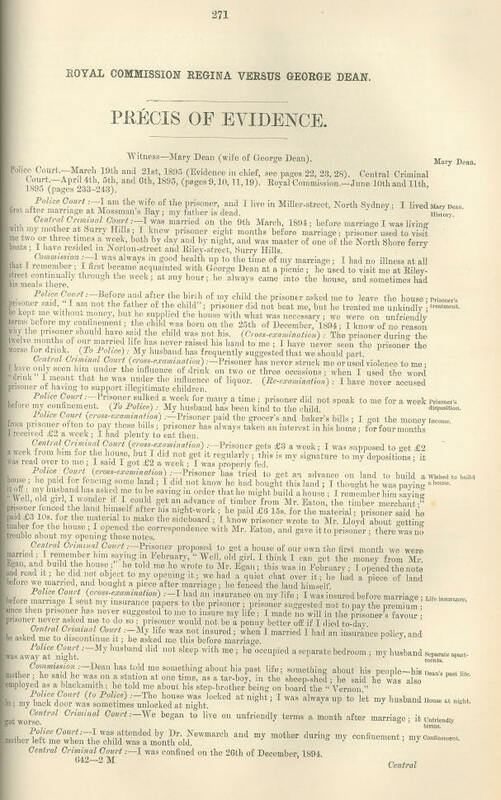 Following the Royal Commission's report, Dean was granted a free pardon on 28 June and released from gaol. He returned to work as a ferry master. That was not the end of the story. 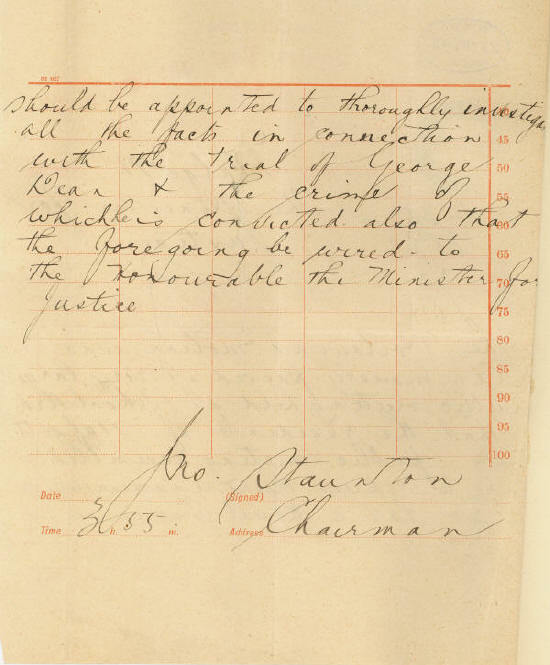 On 18 July 1895 Dean's lawyer, Meagher, admitted to Sir Julian Salomons, a former Chief Justice, that Dean was guilty. Meagher had allegedly tricked Dean into confessing back in April and he believed the confession was a matter of solicitor-client privilege. 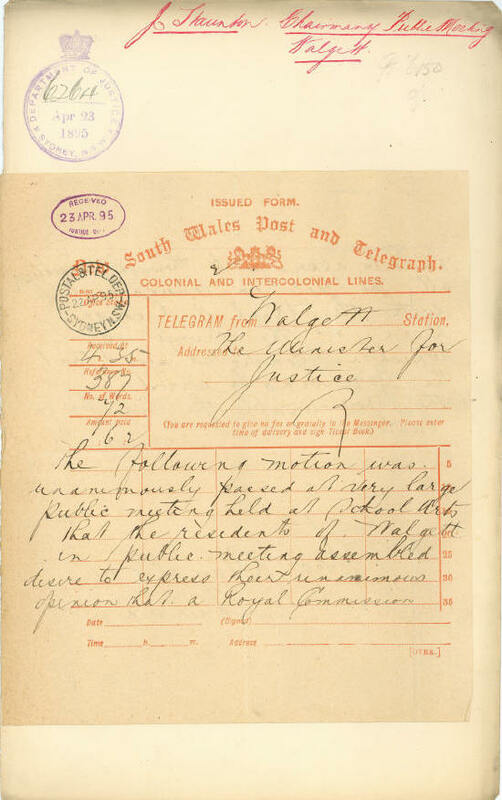 Salomons passed on details of his conversation with Meagher to the Attorney General. 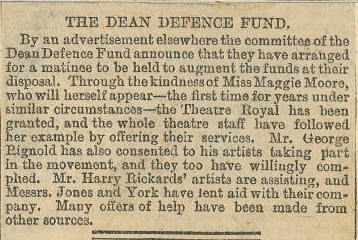 Amid rumours of this confession, Dean petitioned to Parliament on 24 September to clear his name. 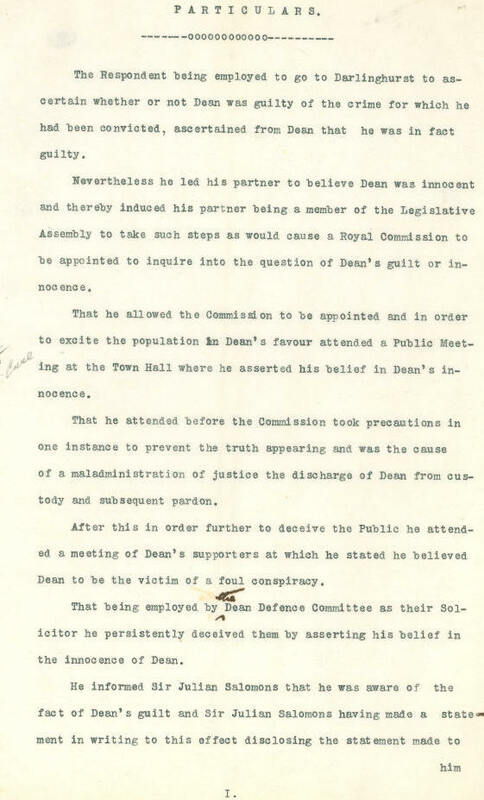 The following day the Attorney General revealed to the Legislative Council his knowledge of the Dean confession. 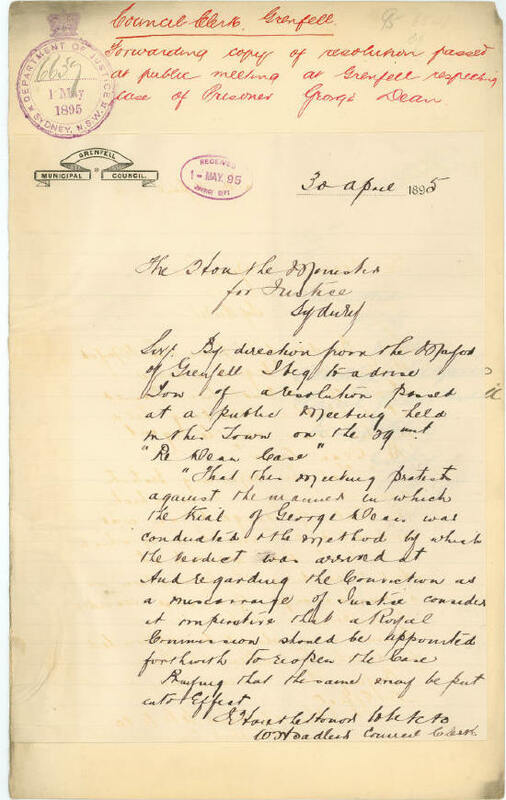 On 4 October, RB Smith, a North Shore chemist, came forward and claimed he had sold the poison to Dean. 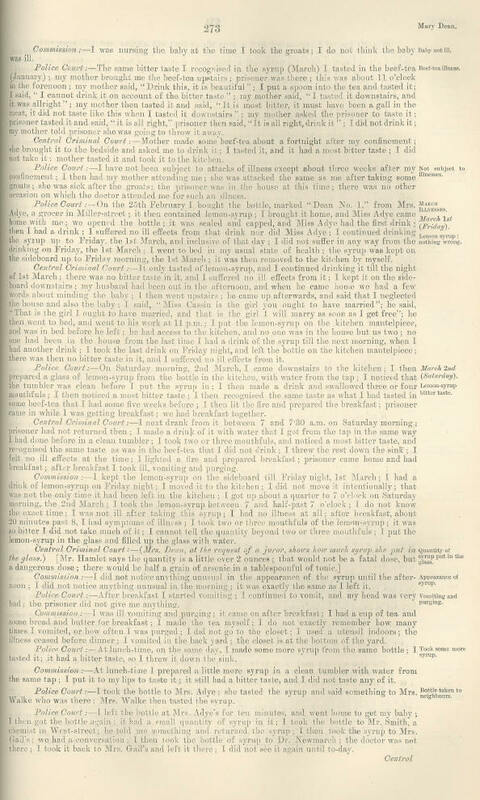 On 9 October Dean was arrested and later confessed in writing. He was convicted of making a false declaration on 24 October and sentenced to five years imprisonment. On the following day he was convicted of perjury with intent to procure an acquittal on a capital charge and sentenced to fourteen years, with the sentences to be served concurrently. Meagher, Crick, Dean and others were charged with Conspiracy to pervert the course of justice. 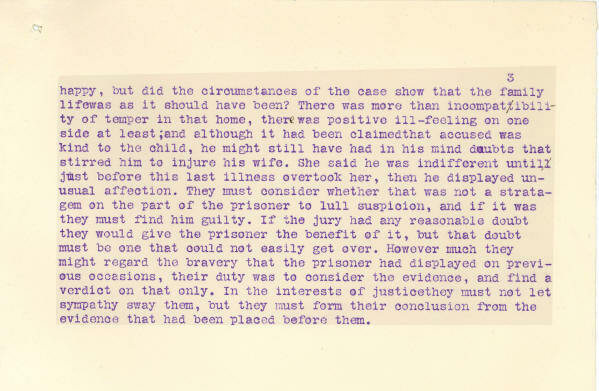 Crick was found not guilty while Dean and Meagher were convicted. 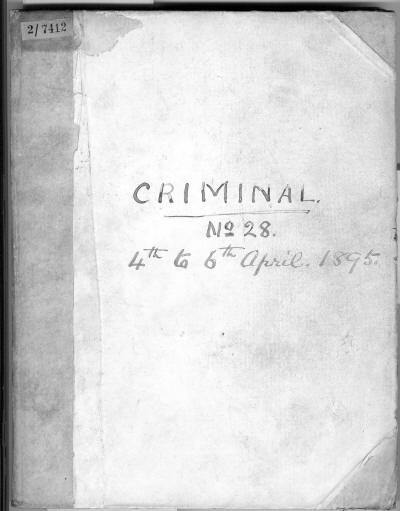 The convictions were quashed on appeal on 15 May 1896. 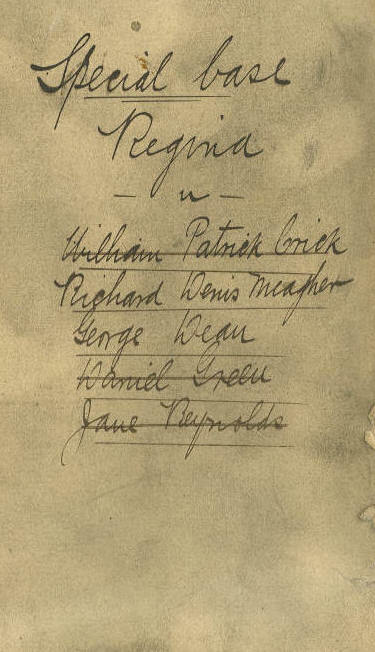 Meagher was struck from the roll of solicitors in June 1896 but he went on to have a career in politics. 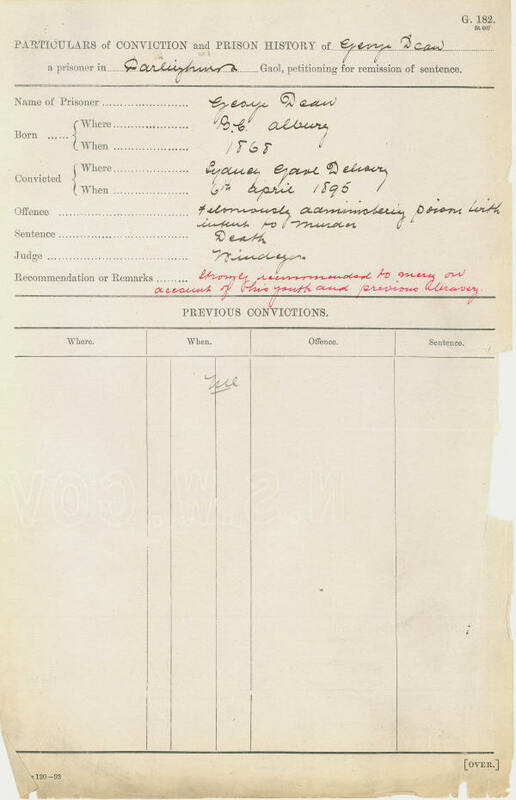 He was finally re-admitted to the bar by a special Act of Parliament in 1920. 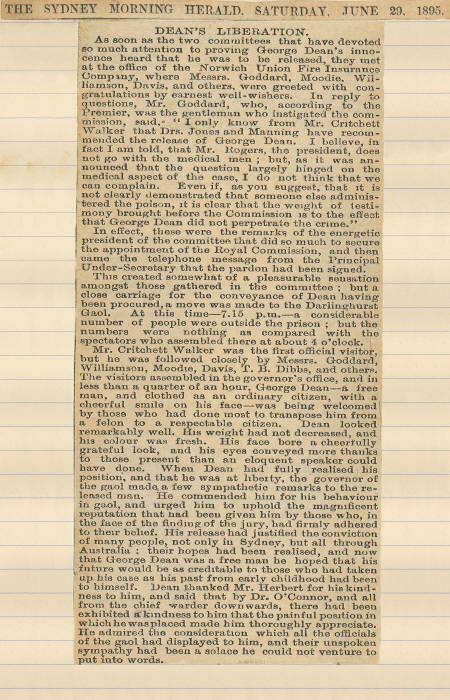 George Dean was released from goal on 8 December 1904 and resumed his old position as a ferry master before moving to the Riverina by 1913, where he died in 1933. 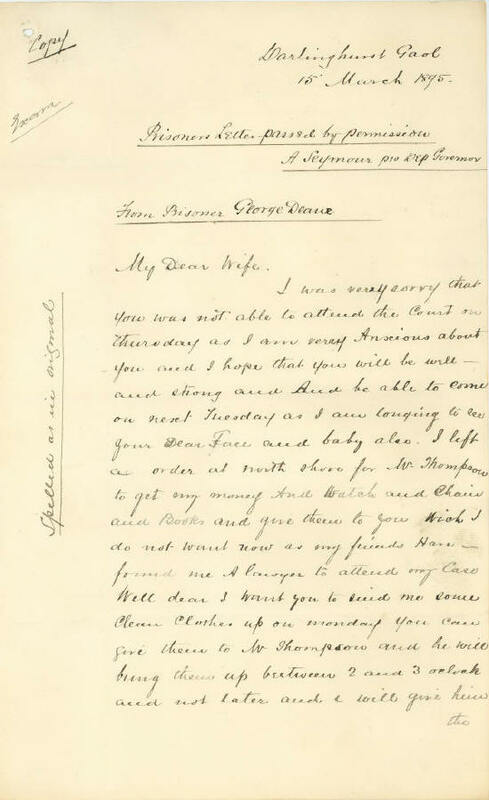 Mary divorced George on 1 September 1896 and remarried in 1900. 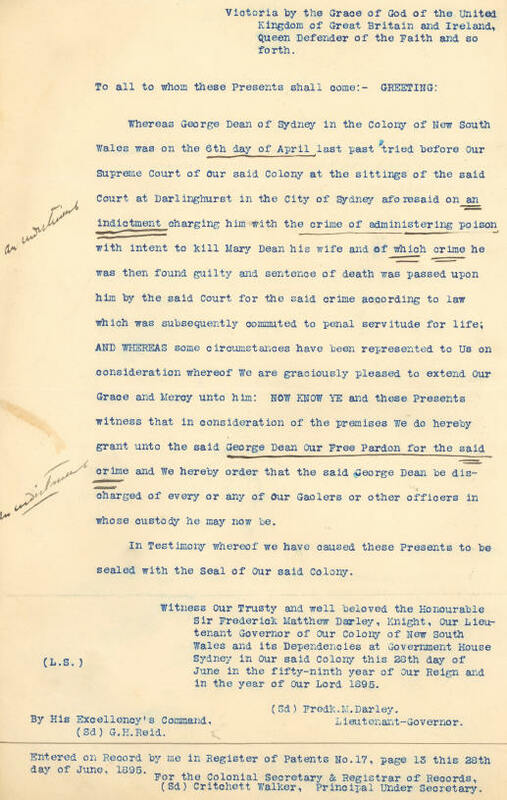 The saga of George Dean and Richard Meagher has continued to capture the public interest. On 26 February 1983 the ABC television broadcast a dramatisation of the events in Verdict: The Dean Case. Based on an article written by Janet Knight originally published in issue No 12 Archeion, November 1995. 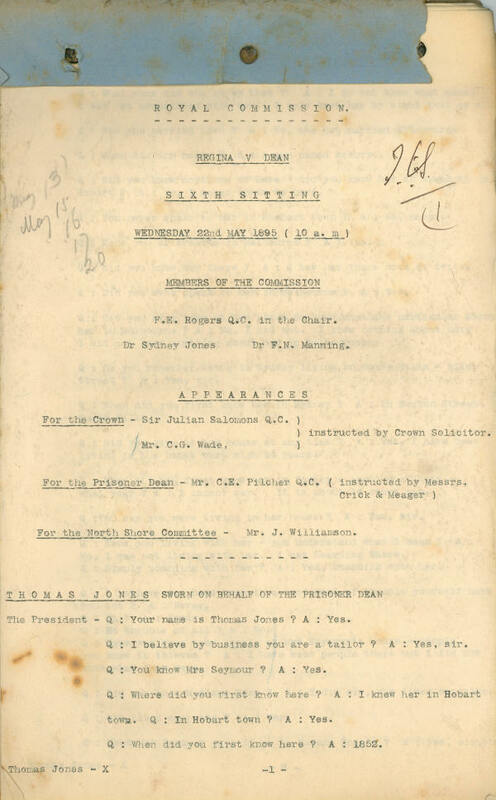 The records concerning the case and the subsequent Royal Commission are held by State Archives NSW (see NRS 2138, NRS 7851, NRS 333, NRS 880 and NRS 13491).